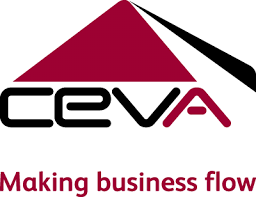 CEVA Logistics, one of the world’s leading supply chain management companies, has announced that Jérôme Lorrain has been promoted to Chief Operating Officer Freight Management adding the responsibility for Air and Ocean Freight to his current position as head of the ground business line. Lorrain will continue to serve on the company’s Executive Board and takes over the air and ocean role from Helmut Kaspers who has left the company. Michael O’Donoghue, currently Managing Director of the UK, Ireland and Nordics cluster, will be taking up the reins as Managing Director for North America from Lorrain as of 1 January, 2018. A replacement for O’Donoghue’s current role will be announced in due course. “I would like to congratulate Jérôme and Michael on their well-deserved promotions. They are two exceptional individuals with wide-ranging business skills which make them ideally suited to their new roles,” states CEVA CEO, Xavier Urbain. “At the same time I would like to thank Helmut Kaspers for his contribution to CEVA’s transformation and wish him well in his new endeavors”. French national Lorrain has extensive knowledge of the supply chain, logistics and transport industries in almost every market sector. Before joining CEVA, he was Chief Executive Officer of Wallenborn Transports in Luxembourg from May 2009 to May 2014 and prior to that worked at Kuehne + Nagel for nearly a decade beginning in 2000 in senior executive positions across the world. Lorrain will continue to be based in Houston, Texas in the near term. Michael O’Donoghue joined CEVA in 2010 following a 25 year career in the freight and logistics industry which included senior management positions in both Contract Logistics and Freight Management for other major players such as DHL and Excel. Under his leadership, the UK, Ireland and Nordics has developed into a very strong cluster, winning a number of blue chip customers with a strong focus on operational excellence and customer service. O’Donoghue will be based from the company’s North America head office in Houston, Texas.